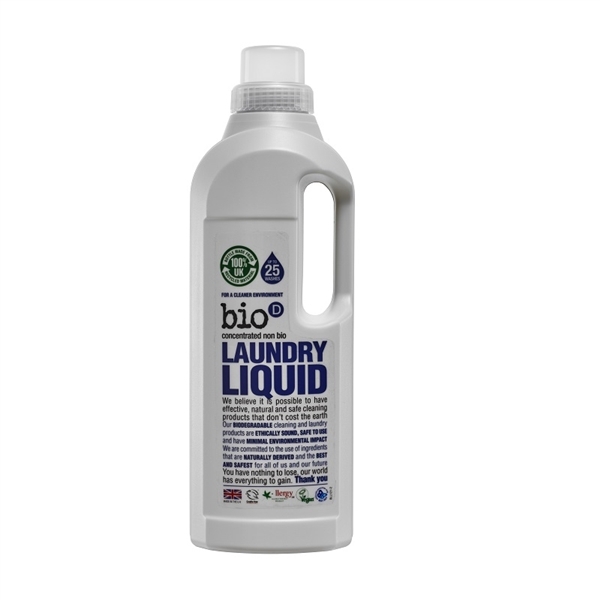 The hypoallergenic formula of this concentrated, non-biological laundry liquid ensures sheets and towels feel soft and clean ready for your next guests. The naturally biodegradable ingredients in the formula ensure the are entirely safe for the environment while still delivering great results. Made in the UKWe now have a Bio D Refill Station in our showroom at Kirkby Stephen where you can refill this product. Good, everyday washing liquid with green credentials. I see I've reviewed this before. My comment stands on the liquid. I'm not convinced about the powder or the laundry bleach from bio.d. Good, reliable, everyday washing of both guest linen & household linen - none of which is particularly "dirty", just needs washing. Economic to use. Am about to try bio.d laundry bleach & washing powder again.